This is Petey, a.k.a. Doctor Peter Jones, my cat, whom this site is named after. Petey has now passed to the great kitty hunting ground in the sky. 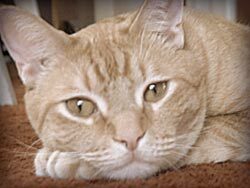 April 1998 - August 2008 - We will miss your orangey face!